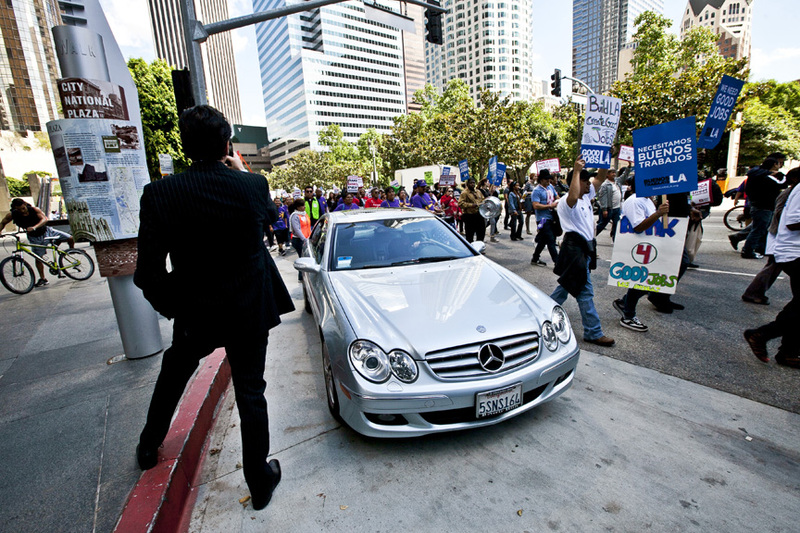 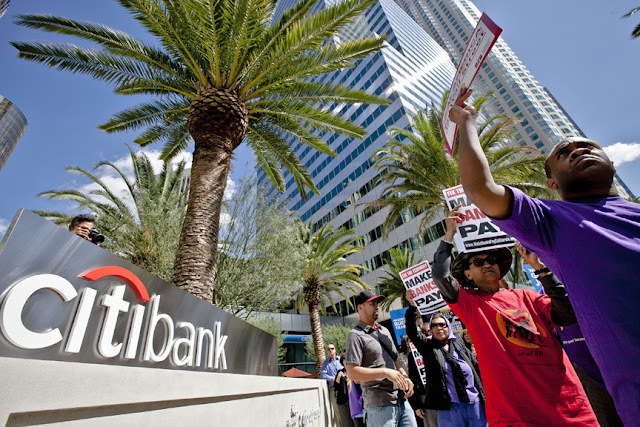 A couple of thousand protesters, including union members and Occupy LA protesters, marched in to L.A.'s financial district. 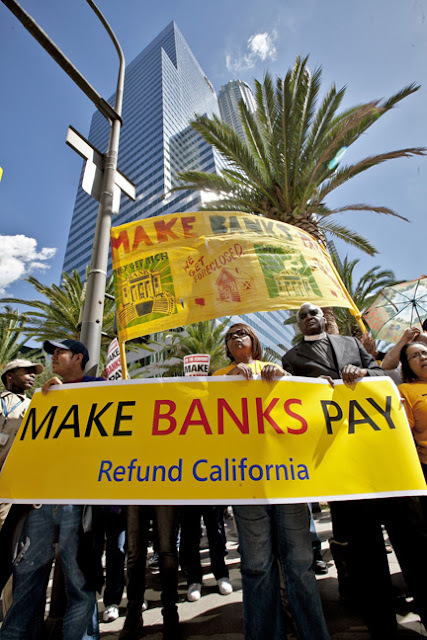 The march weaved it's way through several banking institutions located on Bunker Hill, and stopped at the Bank of America on Figueroa and 7th. 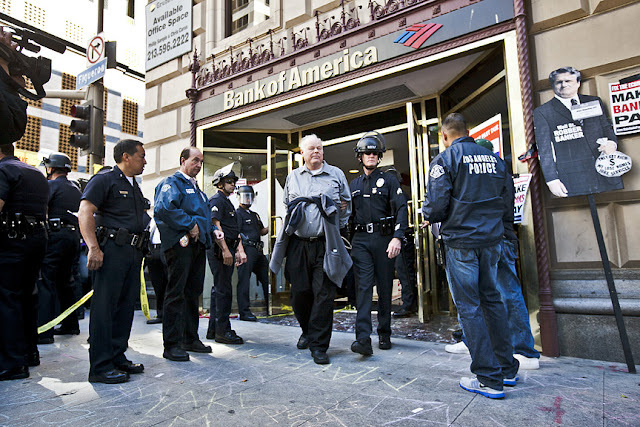 Several protesters made their way in to the bank for a sit-in protest, and were arrested by L.A.P.D. 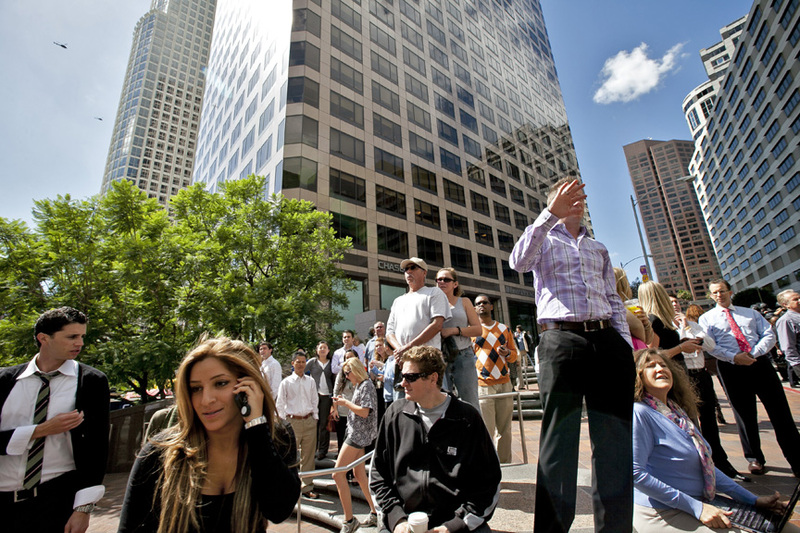 Angelenos watching the march on Figueroa. Bank workers watching the protest at Figueroa and 7th st.
Protester arrested at Bank of America on Figueroa and 7th st.
Labels: LA, LAPD, Occupy L.A.